This is a Drawing. It was designed by Dan Friedman. It is dated ca. 1975 and we acquired it in 1997. Its medium is graphite, black marker on white tracing paper. It is a part of the Drawings, Prints, and Graphic Design department. 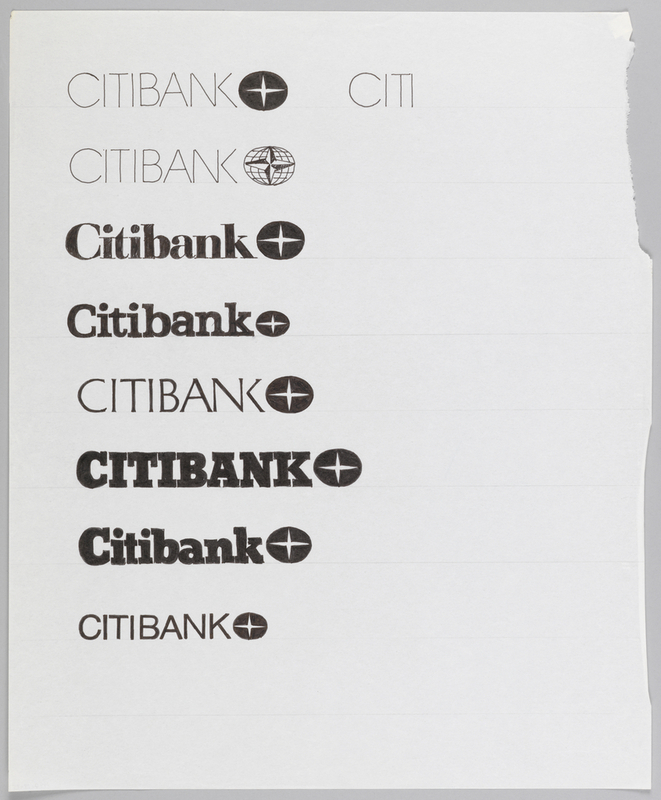 Inscribed in black marker, left: CITIBANK/CITIBANK/Citibank/Citibank/CITIBANK/CITIBANK/Citibank/CITIBANK; right: CITI.